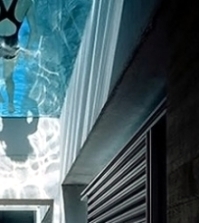 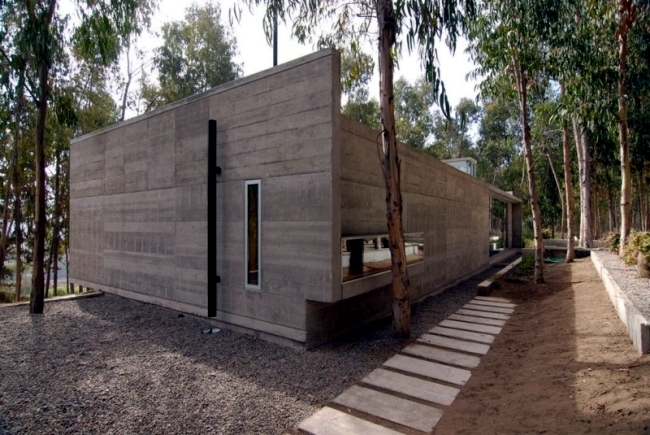 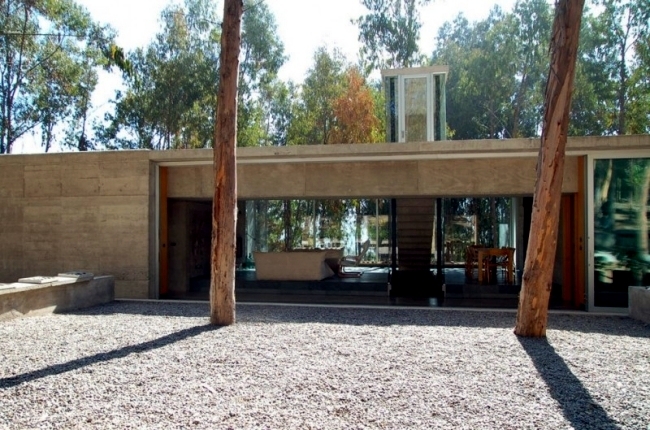 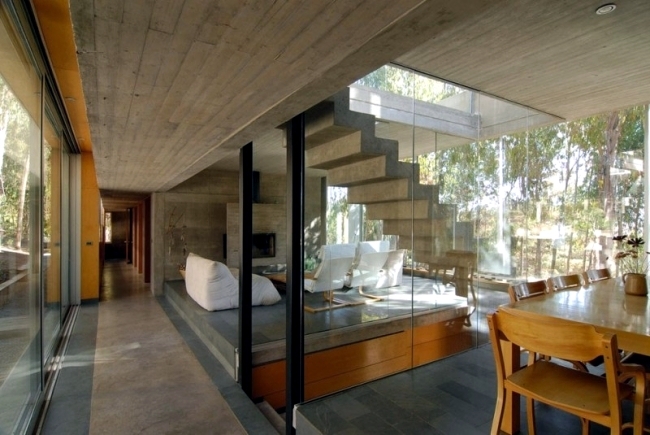 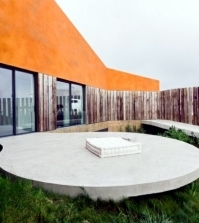 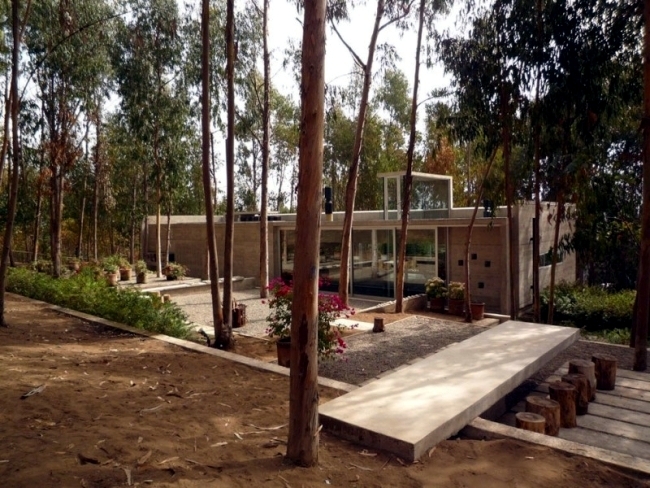 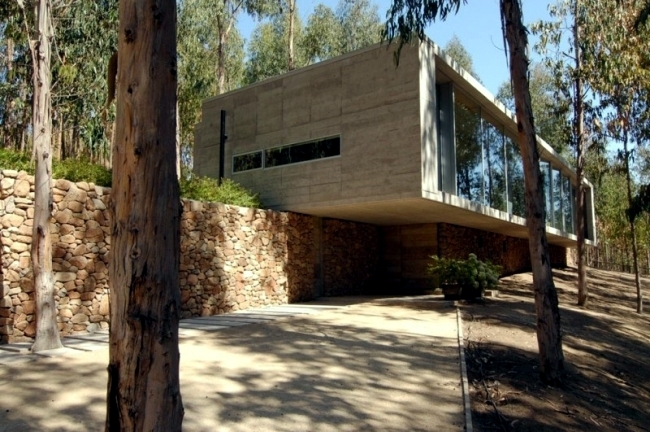 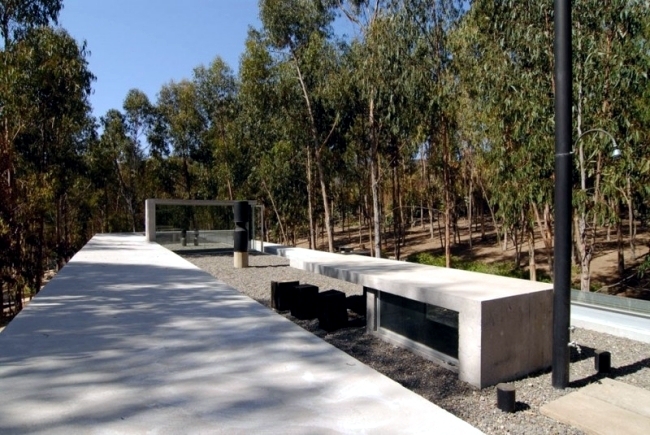 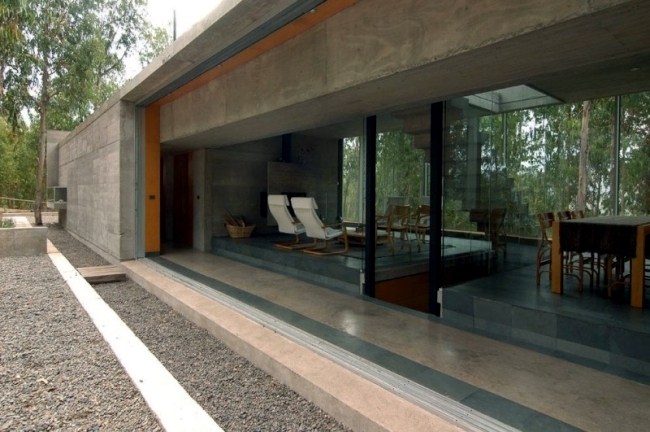 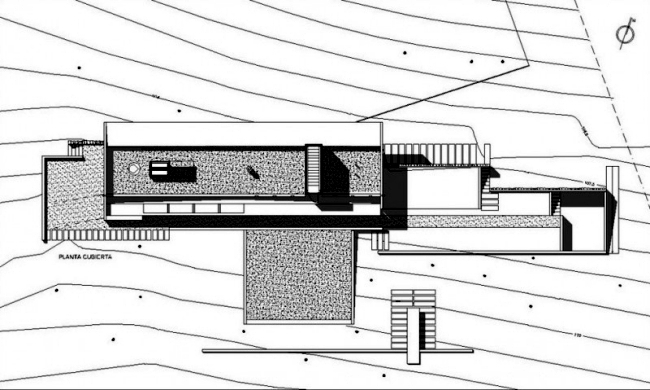 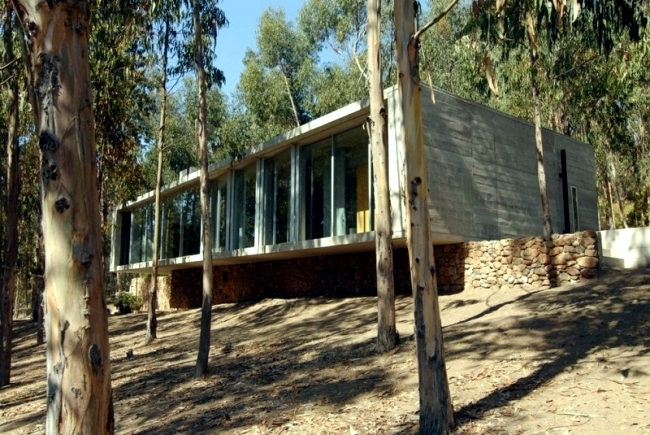 The coach house has a flat roof in modern Cachaga, Chile, a project Gubbins Arquitectos. 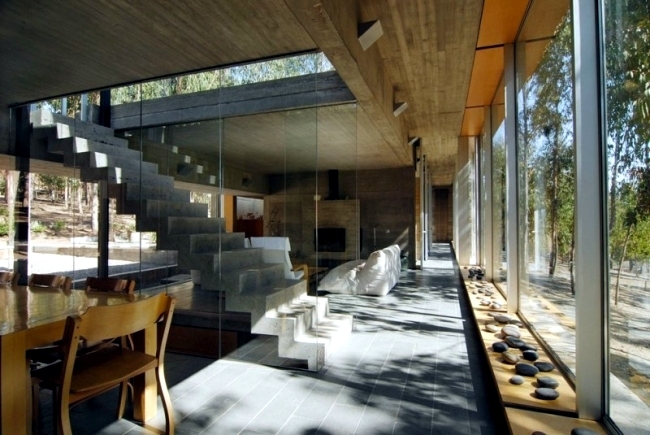 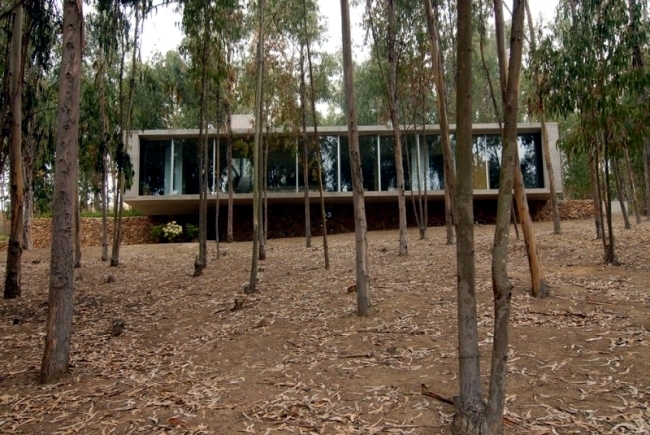 The interior is made up of a series of spaces that are visually connected to each other and the landscape out of the forest. 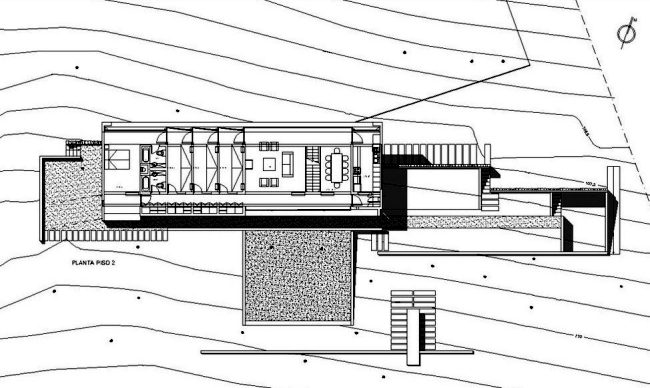 To break the typical spatial distribution of residence, kitchen, living room, dining room and bedrooms are divided into a number of different areas. 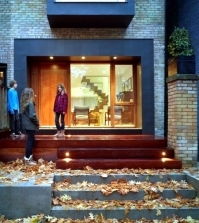 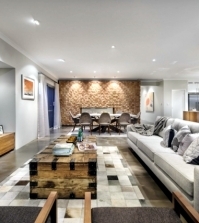 This creates an open living space stretched, which is much more attractive than the typical urban layout. 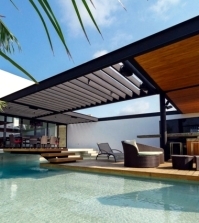 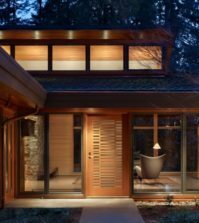 Not only the exterior design of the house, but also the interior design must harmonize visually with the surrounding landscape. 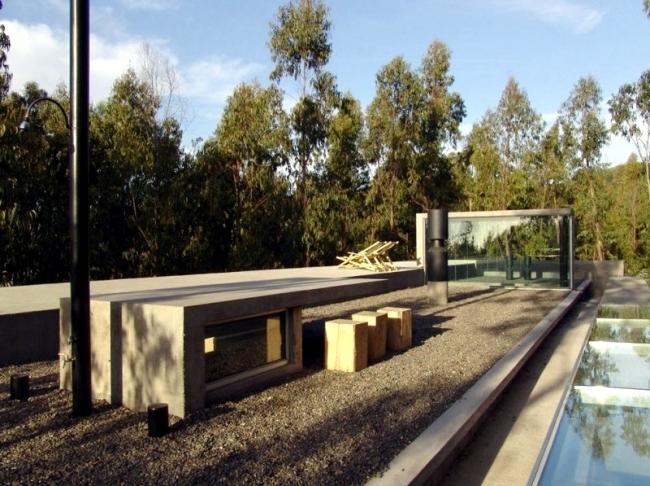 This was achieved by using its interesting architectural style elongated, which allows residents to discover new perspectives - from the roof of the courtyard from the living room or hallway houses along a stone foundation under the house. 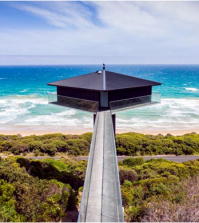 The main facade of the north (23.5 meters wide and 3.1 meters high) is fully glazed and offers the ability to transform into a large solar sensor that emits the energy captured during the night. 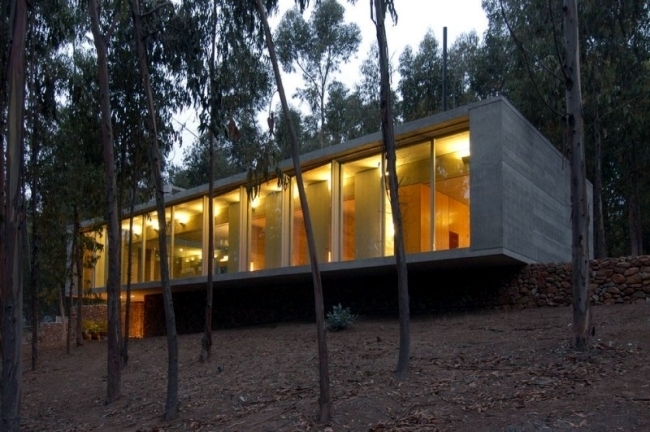 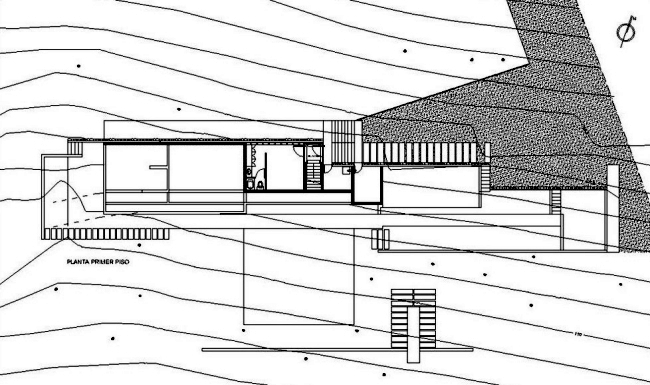 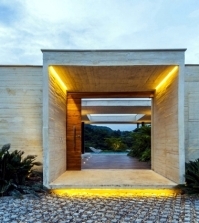 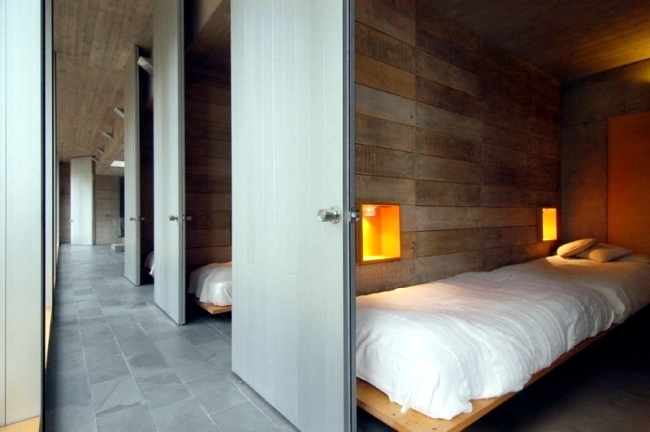 The light is given from the walls, concrete slabs and roof. 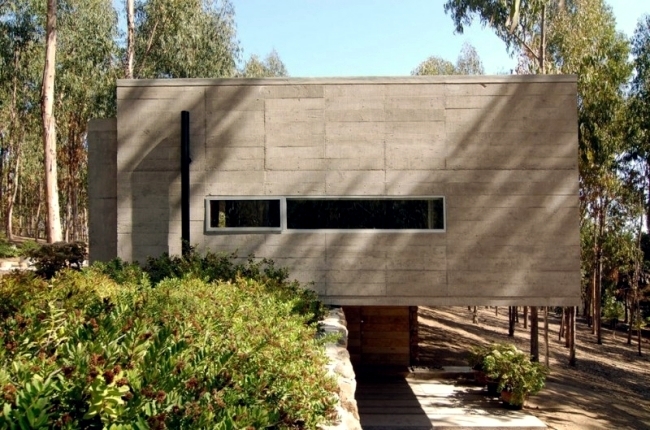 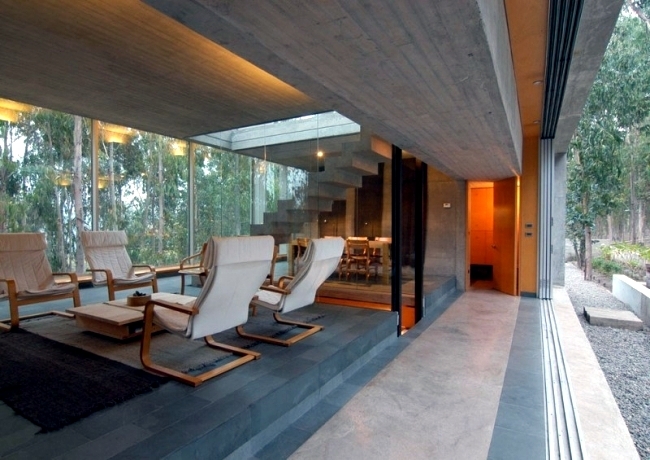 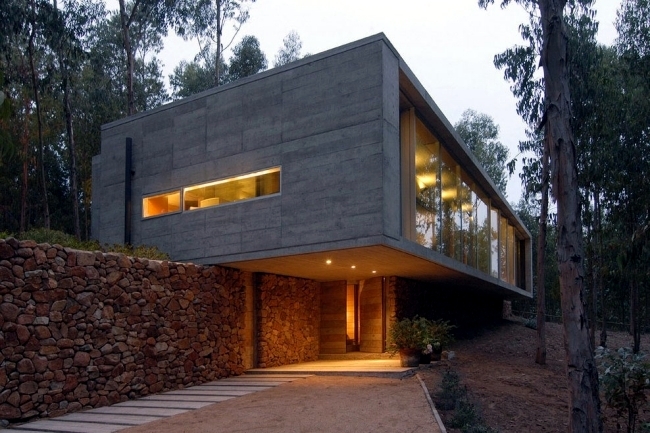 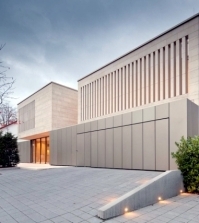 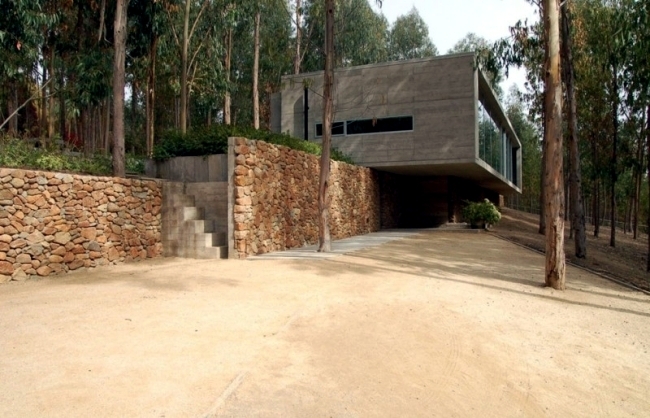 The use of concrete as the main material creates a feeling of weight and stability. 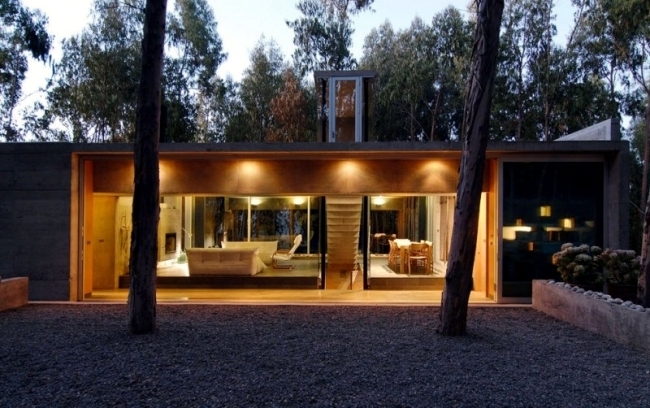 Its full color and the surrounding trees can be combined perfectly with different textures and raw wood.